The inaugural round of grantees for The Pittsburgh Foundation’s Small and Mighty program in 2017 included a $15,000 award to The Isaiah Project. Founded in 2009, The Isaiah Project gave high school-age youth a safe haven from the violence in Pittsburgh's Allentown, Arlington, Beltzhoover, Carrick, Knoxville and Mt. Oliver neighborhoods. The organization provides meaningful work experience, academic supports, violence prevention and life skills groups, community service opportunities and emotional support from caring adults. Some students were offered paid work experience from licensed tradespeople in carpentry, landscaping, electrical work, painting and culinary arts. This grant helped increase management capacity, service delivery and formalize partnerships with other organizations. 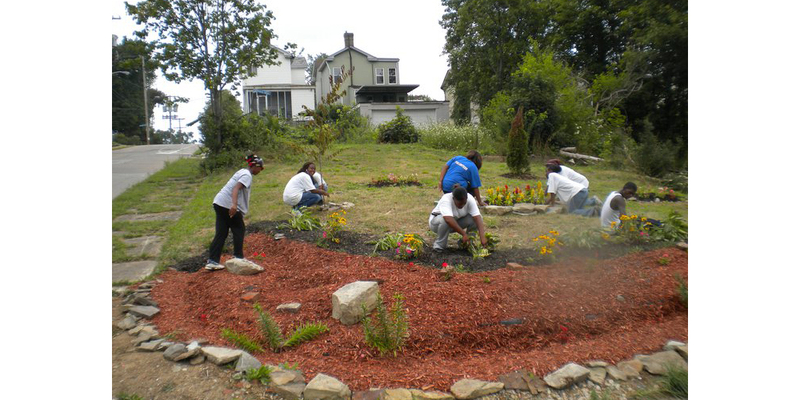 The Small and Mighty grants program, an outcome of the Foundation’s 100 Percent Pittsburgh organizing principle, has awarded $308,821 in 2018 to 22 local nonprofit organizations with budgets of less than $600,000. The Isaiah Project operates with an annual budget of $299,976. Small and Mighty is a direct outcome of the Foundation’s 100 Percent Pittsburgh organizing principle, which focuses on providing economic prosperity and stability for single women raising children and vulnerable youth ages 12 to 24.